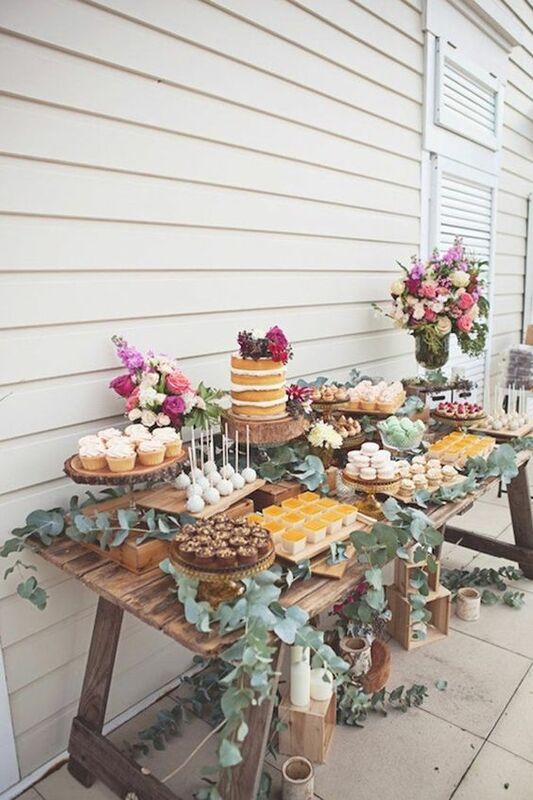 If you love cupcakes, macaroons, pop cakes and biscuits,then you should prepare a corner full of these delicacies so that, between one dance and another, your guests can taste different and delicious flavors. 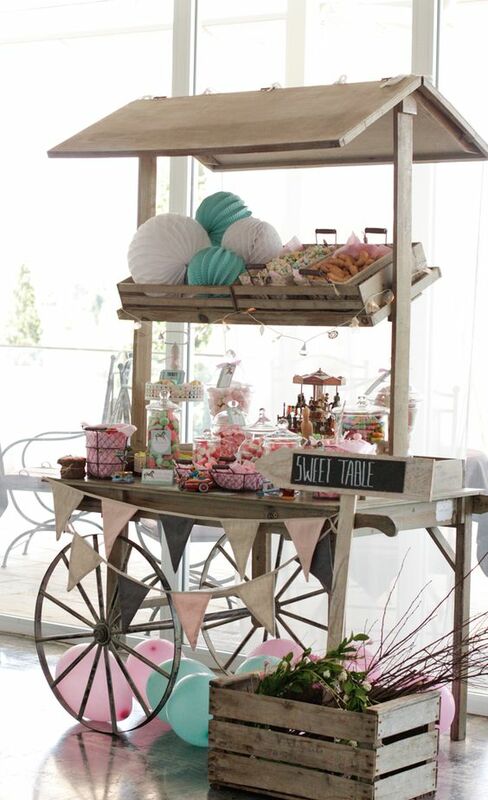 Another alternative is the traditional Candy bar full of sweets and treats. 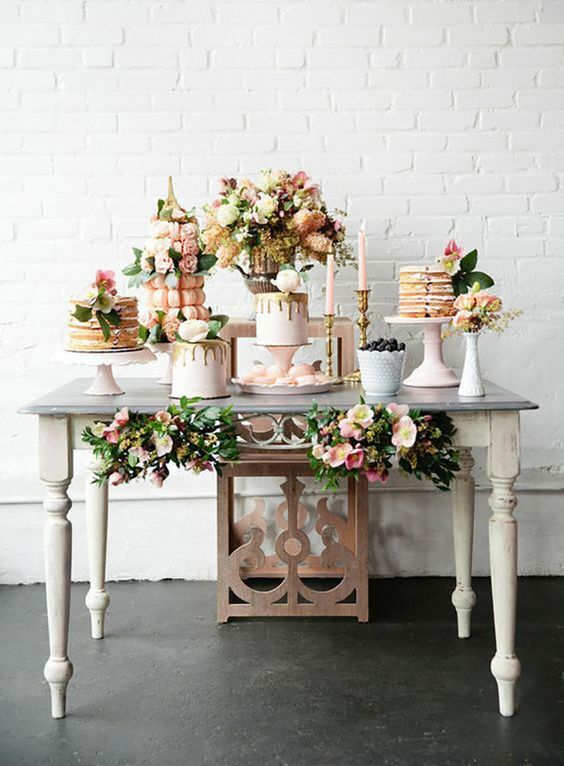 In recent years it has become fashionable to propose tables full of different types of cakes, home-made, naked or with fondant. You can also decide to put a big cake accompanied by mini-cakes. 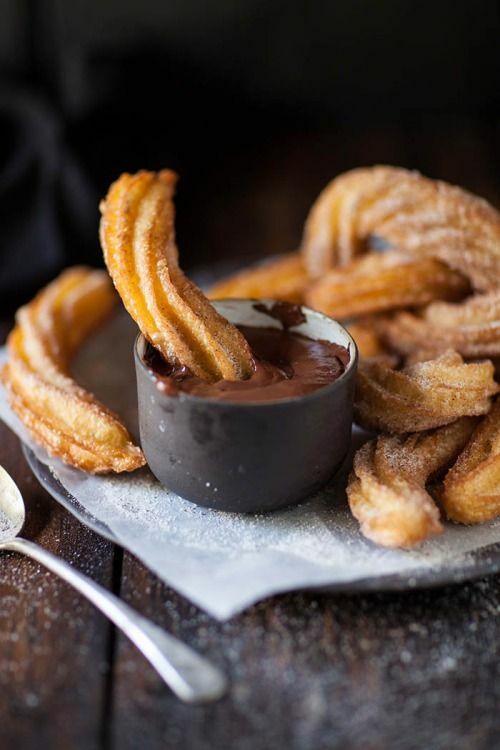 And if instead of the typical sweet tables, you dare with a corner of chocolate and churros, especially if it is a Fall/Winter wedding? 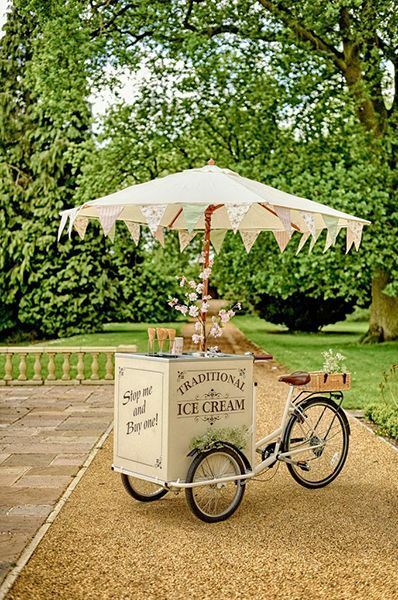 For a spring or summer wedding you could propose a delicious corner of ice cream! You know that in addition to delicious, your corners must be striking. 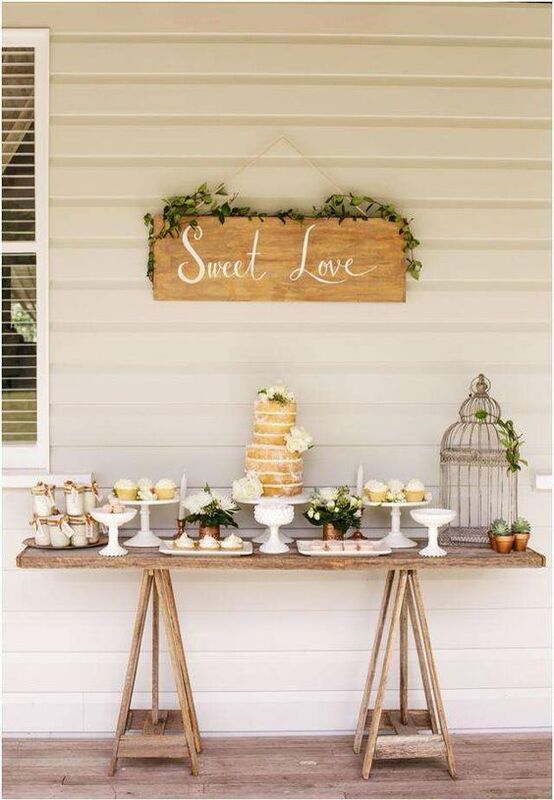 And to do this, I advise that the decoration also follow the same theme of your wedding. 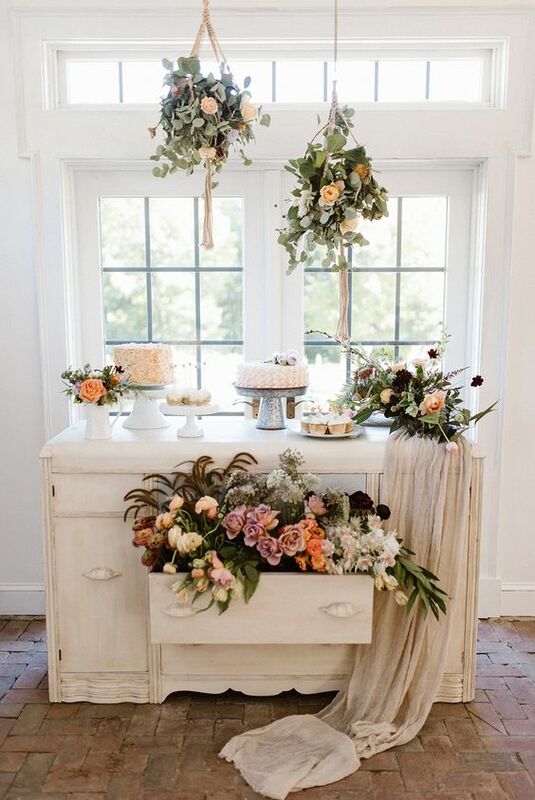 Whether it’s a vintage or rustic wedding, the bare wooden tables are ideal for creating a beautiful corner with greens, baskets and wooden boxes. 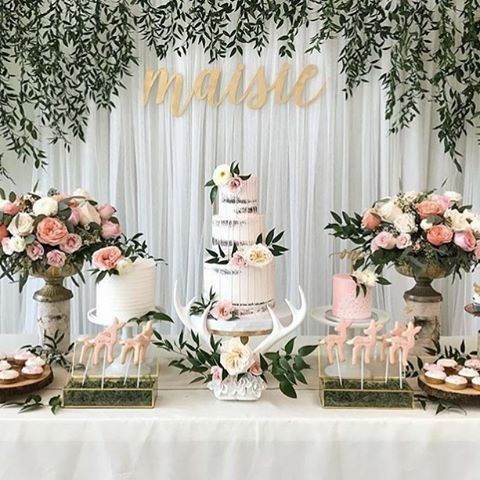 Naked cakes are ideal for this theme. 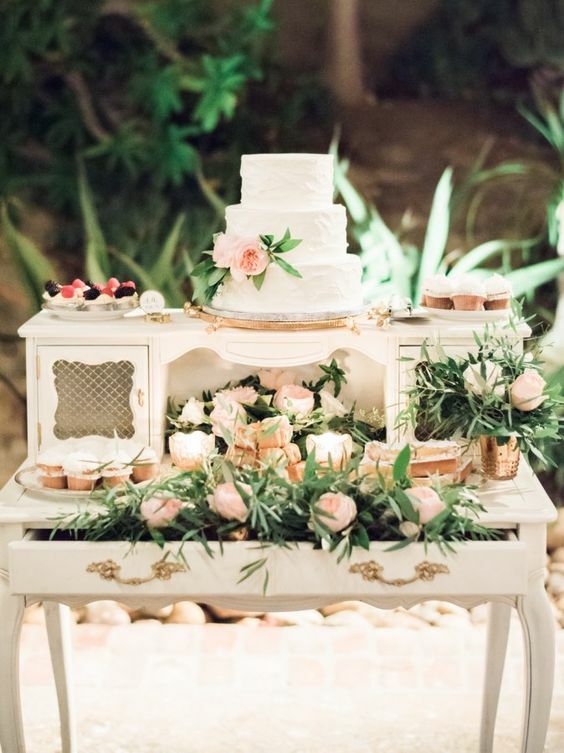 If it is a romantic wedding and with a palette of pastel colors, you can use natural flowers, candles and instead of the typical table, you can put an antique furniture. 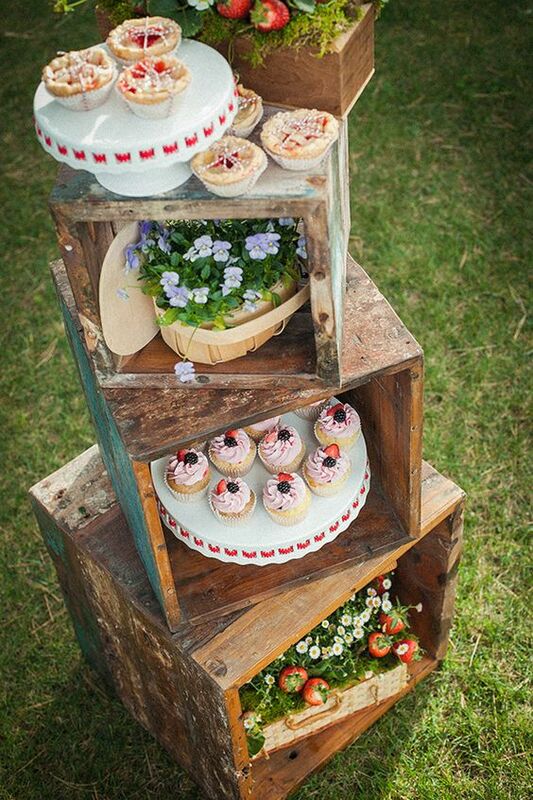 As you can see there are many ideas to create a corner that can sweeten the palates of your guests on your big day. If you have always dreamed of a wedding in December, in a venue with chimney, lights, candles and a very Christmas decoration, here I give you some ideas and tips for a Christmas wedding. It would be ideal to make the banquet in some room of an historic mansion or a castle, with big chimneys that can be left on for the occasion, creating a very romantic atmosphere. 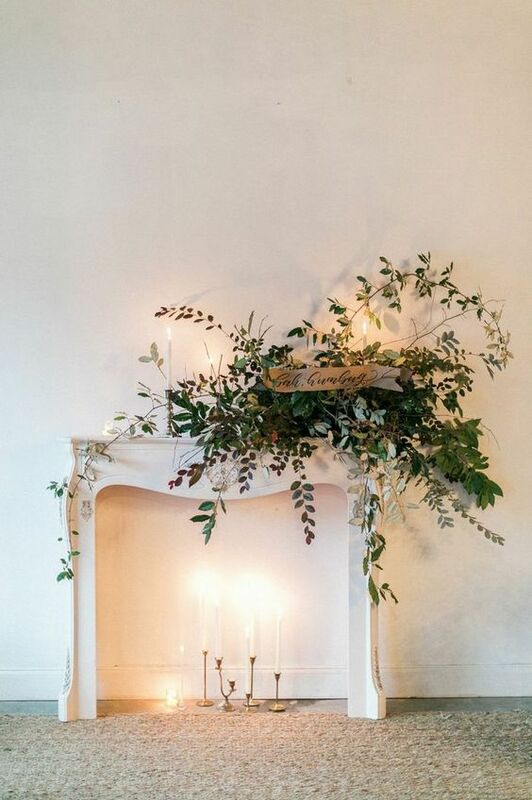 Without a doubt, a Christmas decoration will give the magic touch to the wedding. A big Christmas tree in some corner of the reception hall, will be a must. 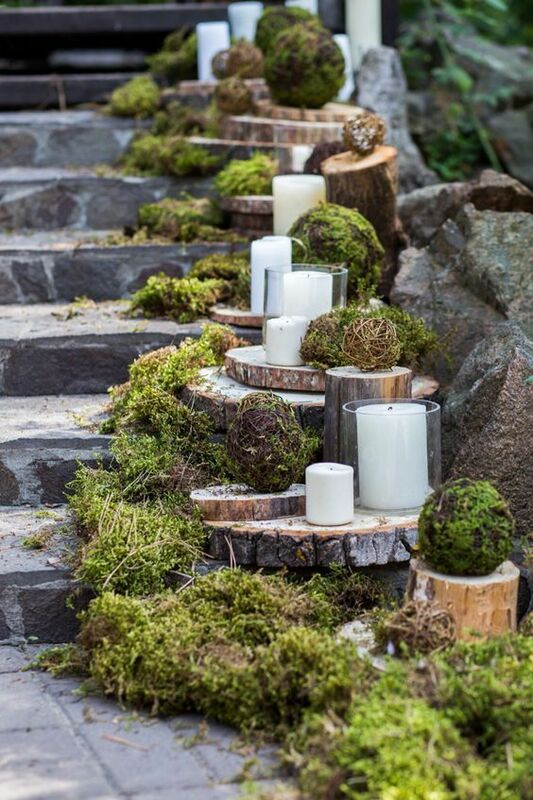 Use elements like moss, candles and garlands of lights. 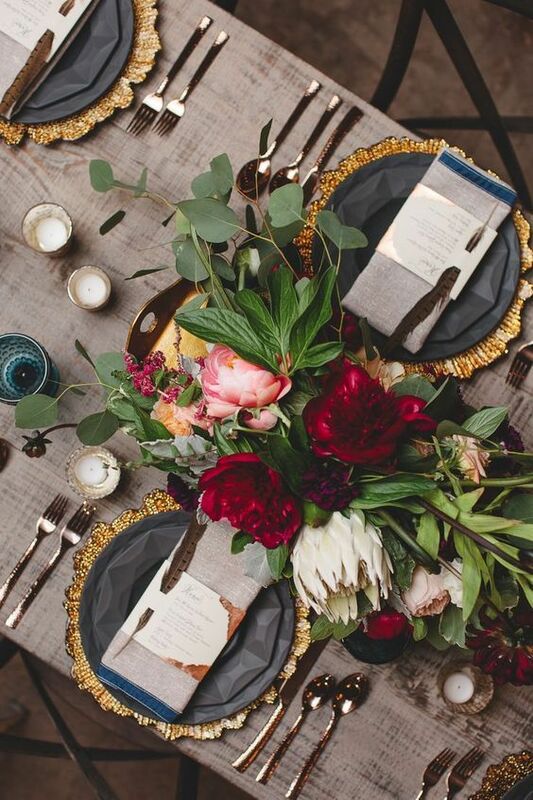 And a color palette that includes shades of marsala and green, will create an unforgettable atmosphere for you and your guests. Don’t forget to decorate the chimneys! 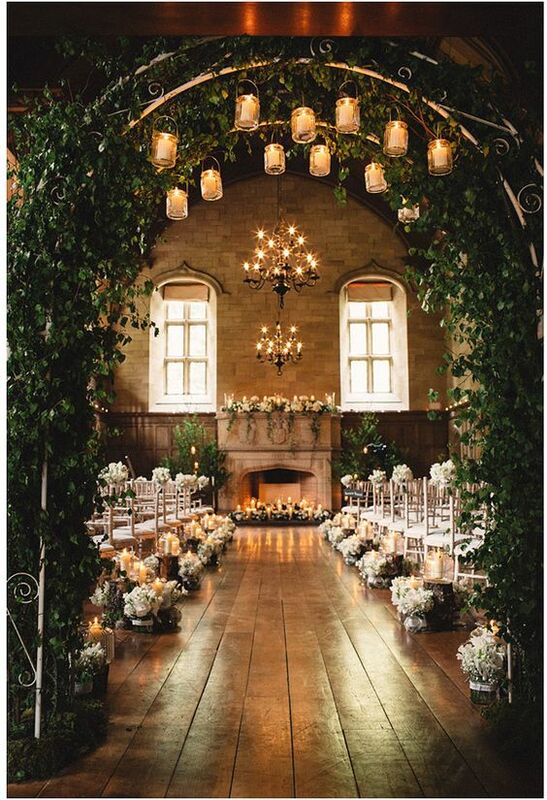 Garlands of greens and candles will give a spectacular touch to the space. When choosing the menu, you can ask your caterer to add a typical Christmas dish. 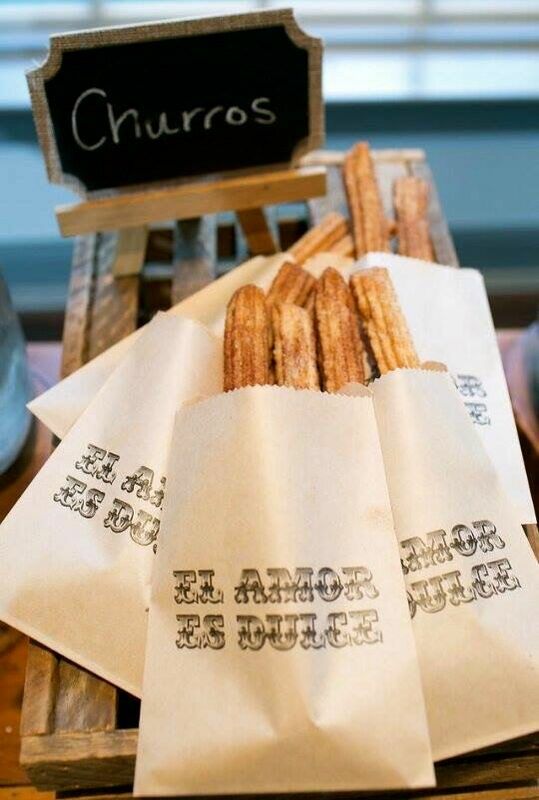 And for the snack during the open bar, what better choice than cups of hot chocolate with churros? 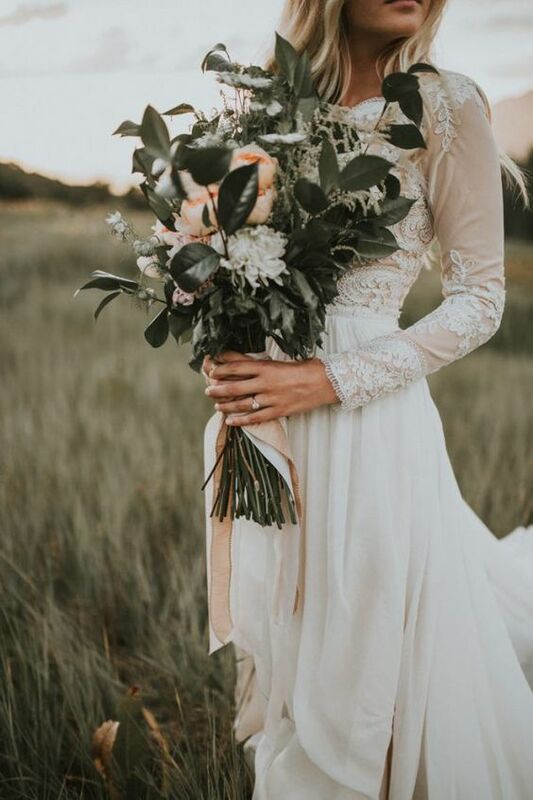 A wedding dress with long sleeves and velvet details, are ideal for the Christmas season. Your bouquet may have velvet ribbons that can go in combination with the colored shoes of the same fabric. A romantic and fairytale wedding, which will bring together all those important people for you and your partner, in a very special time like Christmas. 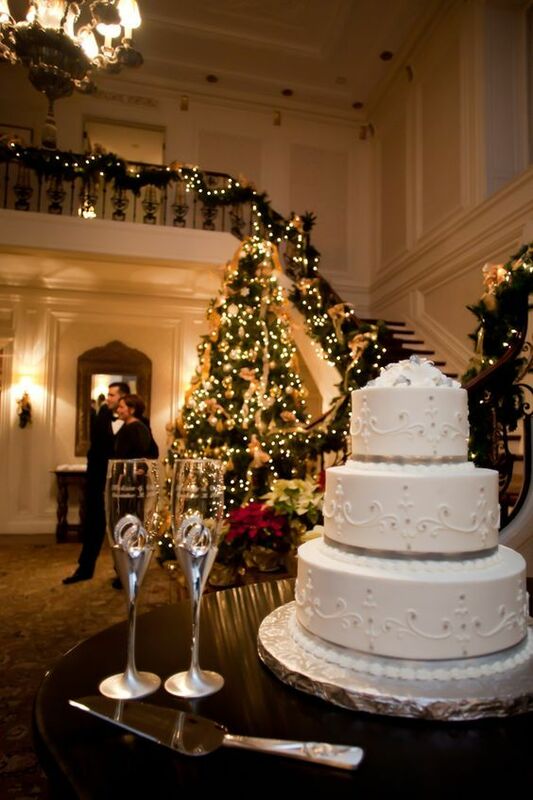 Would you like to get married in the magical month of December? If for your wedding you want a corner where your guests can have fun taking pictures, here I leave 5 original wedding photo booth ideas. 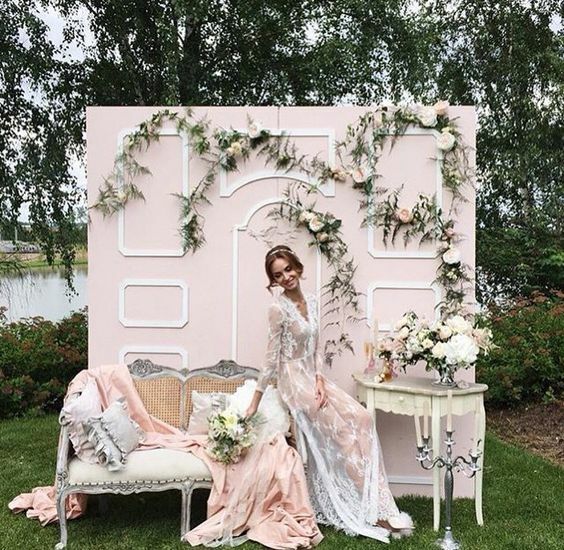 It is very important to always keep in mind the theme of your wedding, so that all the elements follow the same line and everything looks more harmonious. If your wedding has a vintage style, you could create a corner with old suitecases, elements like antiqued wood and bottles with flowers. You can add an armchair or an old chair and create a pretty background for the photos of your guests. Will your wedding be between nature, in a forest or in a garden? 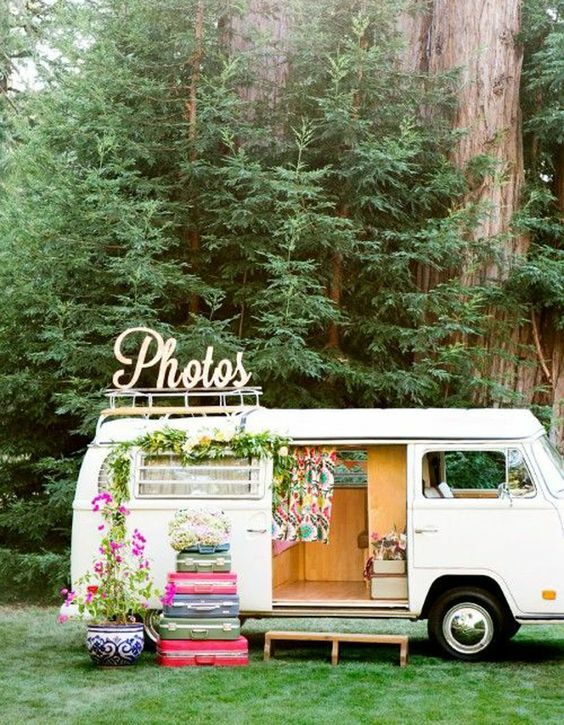 Then, you can create an original photo booth with a vintage van that will also decorate the space and leave your guests speechless. If your wedding is more elegant, classic and romantic, you have to give the same touch to the corner of the photo booth. So, sofas, peonies, cushions and candelabra will be the perfect setting for your guests to pose for their photos. 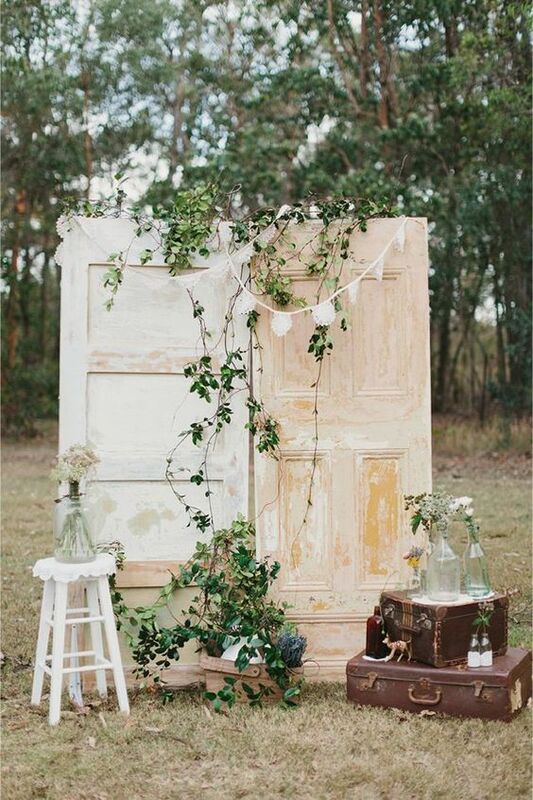 A bohemian wedding also needs a photo booth according to the theme. 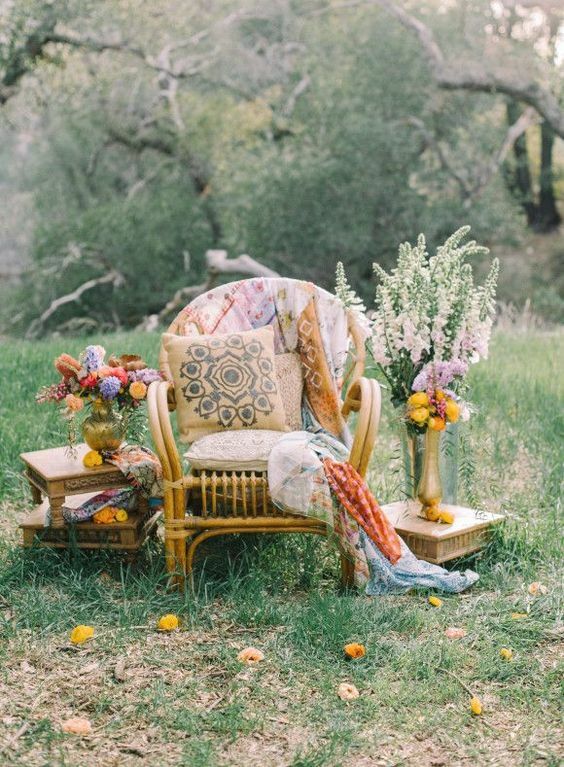 So, leave room for your creativity with boho cushions, flowers in vivid colors and wicker chairs! 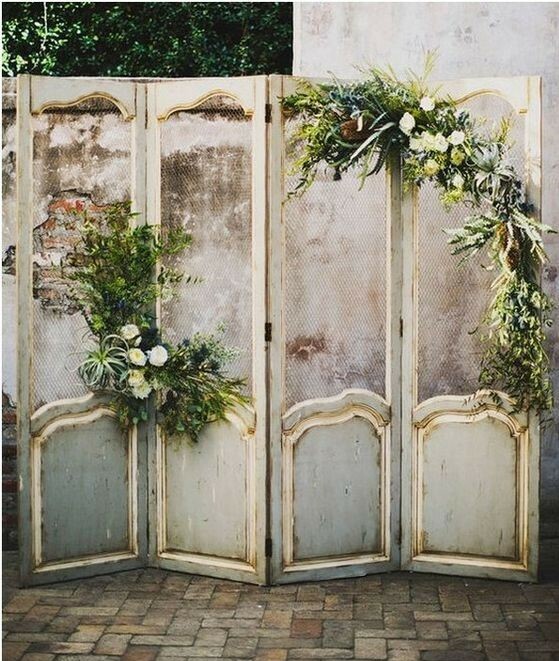 A simple idea but at the same time very nice and that gives a vintage chic touch to your wedding: antique doors or folding screen aged with a floral detail. Just beautiful! These are just some ideas for an original photo booth for your big day. But you can create different backgrounds in different styles and using a wide variety of objects. Are you ready to create your special corner for the photo booth?